Learning is no longer restricted to the classroom. Around the world, students are taking advantage of the opportunity to learn online. In fact, there are now tens of thousands of students earning diplomas through a variety of online courses. Students enrolled in online CAD (Computer-Aided Design) courses often find that the accessibility and in-depth learning offered by this training medium meets their specific learning needs. If you have been thinking of enrolling in CAD courses, discover just how many advantages that an online CAD training program can provide. Although not all online courses are the same, by and large, enrolling in an online CAD course is typically less expensive than a traditional training course. Along with saving money on fuel, parking, and other transportation costs, you may also be able to save money on the cost of textbooks and other materials. This is because the vast majority of online CAD courses are presented in data format. An online CAD training course also offers a far greater level of flexibility and accessibility. This can be particularly beneficial if you need to plan your training around your schedule. As a result, you will be able to study whenever it is most convenient for you to do so. Since course materials are available online, you can access the information you need at any time. This also means you will be able to study at your own pace. For instance, if you find one particular area of study more challenging, you can go over that material multiple times or get in touch with an experienced instructor without worrying about arranging to meet during specific office hours. Ever student is different and learns in a different way. Web CAD training provides a more student-friendly user experience comprised of a variety of learning options, including chat capabilities, video demonstrations, audio, text, and more. This approach gives you the opportunity to customize your studies to your preferred learning style. Follow-along lessons combined by step-by-step tutorials ensure you benefit from the ability to work one-on-one with experienced instructors from the comfort and convenience of your own home without worrying about any distractions. If you are considering pursuing a certification in CAD, there has never been a better time to do so. 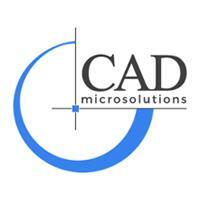 Online CAD training gives you the flexibility and accessibility you need to pursue your dreams.